In lesson 14 you’ll continue to look at places in the town and learn a song which will help you talk about what there is in your own town. 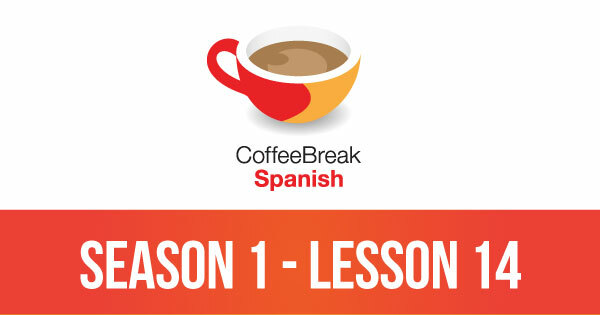 Please note that lesson 14 of Season 1 was originally known as lesson 114 of Coffee Break Spanish. We have renumbered the lessons of each season as lessons 1-40 to make things more simple for our listeners. Hmm not sure why she is confused about c pronunciation in “cerca”. Same as English isn’t it??? e.g. circle, car, cinema, cell. I think she’s playing the part of pupil, trying to ask any question a student might ask. No it’s not at all the same – cerca (therca) is not like the c in circle. 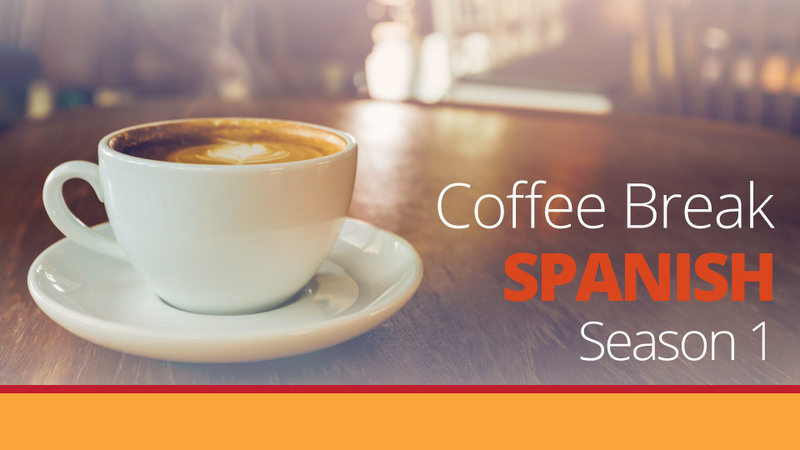 As Mark has said many times, it depends on if you’re speaking continental Spanish or Latin American Spanish. Where to find the vedio dialogue material? Only by listening without the lines, it is difficult to catch. We forgot to add the words of the song before… so here they are! Hay un cine y una catedral y hay diecinueve restaurantes. Hay un bar y un centro comercial y hay diecinueve restaurantes. Thanks for the words to the song Lorraine! Muchas Gracias, Lorraine! This is really helpful! This is great. And the song is a great little tune to help learn as well. I love Kara’s accent (hope I spelled that right!).. she’s fantastic; lately, I’ve beeen listneing to “coffe break spanish” most every day. Muchos gracias! I will learn espanol more hard! I heard this podcast before Christmas and find the song so helpful in remembering words. I realise the podcasts are all made for about the next two years as I am behind, but I do hope there are more songs to come! It was fun singing along! Muchas gracias Mark, Kara y the team. Mark and Kara, you are absolutely fantastic. I came across the pod cast last month and I am just loving it. Thank you Mark and Kara! I found your podcast a few weeks ago and now I’m learning Español on my daily commute. The songs are really helpful!